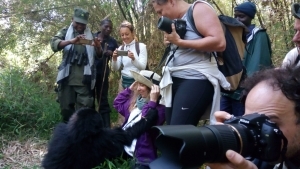 Your gorilla and wildlife 7 days Volcanoes gorilla trekking safari Rwanda & wildlife tour is an adventure filled 7 days Rwanda gorilla and wildlife safari. 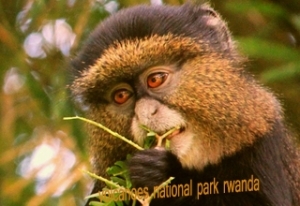 Taking you to 3 safari parks in the land of a thousand hills, this 7 days Rwanda safari features a wildlife tour to Akagera National Park, chimpanzee trekking and a canopy walk in Nyungwe Forest National Park, gorilla trekking and a visit to Dian Fossey center at Volcanoes National Park. From Kigali international airport, your knowledgeable driver guide will pick you up go for a transfer to Akagera national park where you undertake a game drive and boat cruise the next day. The next day, you are transferred to Nyungwe forest national park where you spend the night and go for chimpanzee trekking and a canopy walk the next day. After a hearty breakfast on the fifth day of your Rwanda wildlife safari, you are driven to Volcanoes national park for gorilla trekking the next day. The safari ends with a drive to Kigali international airport for a departure flight. Day 1: After arrival at Kigali international airport your driver guide picks you up for a transfer to Akagera National Park. Day 2: You go for a morning game drive in Akagera for the big five wildlife encounter then after undertake an evening boat cruise on Lake Ihema. 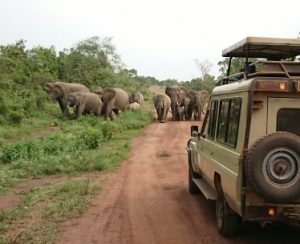 Day 3: You spend the day on a transfer to Nyungwe forest national park by your driver guide using a 4×4 safari vehicle. Day 4: After breakfast, you go for chimpanzee trekking in Nyungwe forest national park in the morning and do a canopy walk in the evening. Day 5: As you drive past the home to the land of a thousand hills, you are transferred to Volcanoes national park. 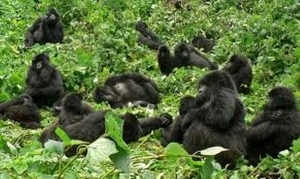 Day 6: After breakfast, you go for Rwanda gorilla trekking in Volcanoes national park. Day 7: You will have a relaxed breakfast then return to Kigali international airport for your departure flight. On arrival at Kigali international airport, you are cleared by the airport staff then after meet and greet with your driver guide who will brief you about your safari and make all transfers. From Kigali after the tour, you take a scenic drive to Akagera National park arriving in the evening and spending the night at an accommodation in Akagera National Park. Following breakfast, you will be driven to Nyungwe forest national park headquarters where you will trek chimpanzees for about 2-4hours. After the trek, you will be driven back to your lodging facility for a meal and refreshment. In the evening, you will be driven to the Uwinka tourist reception center at the park headquarters for the start of your 2 hours canopy walk. This is one of the amazing walks in Rwanda where after you are returned to an accommodation facility for dinner and relaxation. 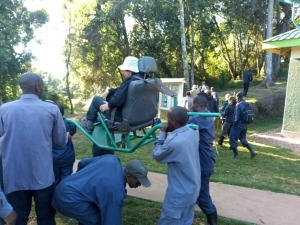 You will wake up early at your lodging facility, have breakfast and be transferred by your driver guide to the park headquarters for an amazing Rwanda gorilla trekking safari experience. Anticipate to be at the park headquarters for briefing by 8:00am and be allocated a gorilla family to trek according to your physical ability. 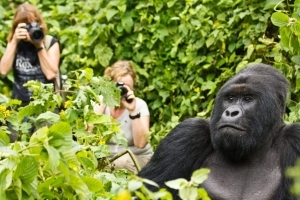 Gorilla trekking takes about 2-5 hours with only 1 magical hour of mesmerizing at how human like these species can be. After the trek, you will receive a Rwanda gorilla trekking certificate at the park headquarters thereafter be driven back to your lodging facility for dinner and an overnight. 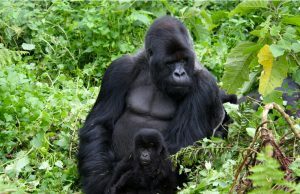 Home to 10 gorilla families, volcanoes is the only national park with mountain gorillas in the country and definitely the gorilla safari Rwanda destination. 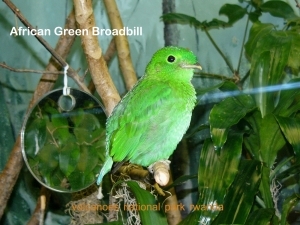 Within the same massif, the park are other destinations/parks that host mountain gorillas including Mgahinga gorilla national park for Uganda gorilla safaris and Virunga national park for gorilla trekking safaris in Congo. Beautifully crafted and gifted with nature, a trip to Rwanda is one of the relaxing tours you can undertake in Africa.